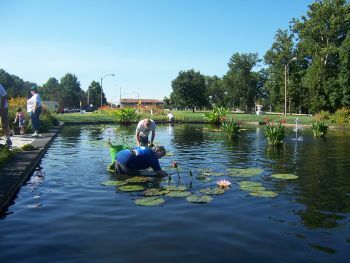 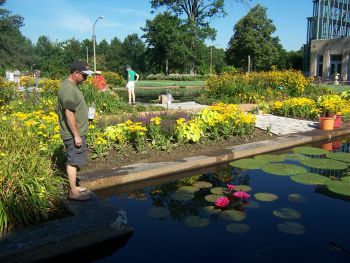 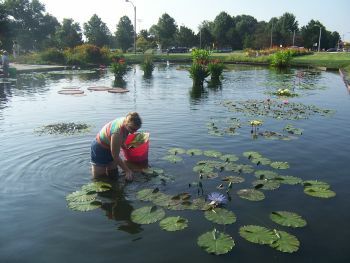 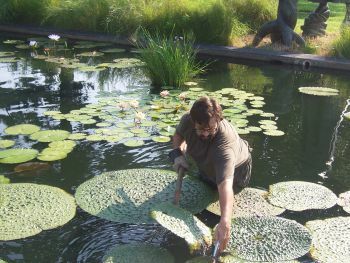 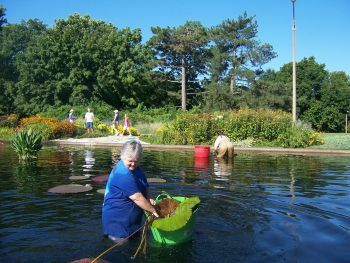 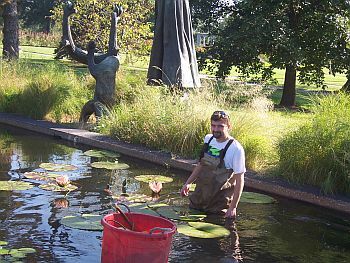 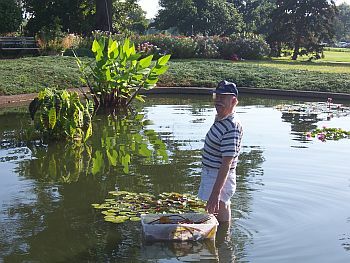 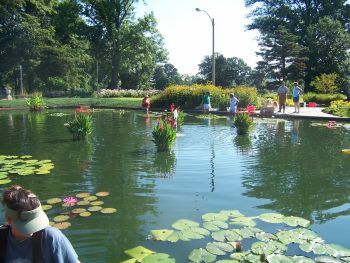 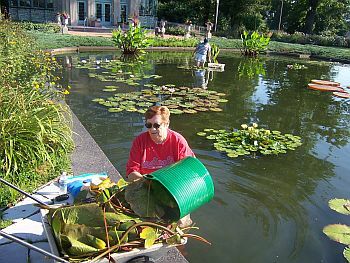 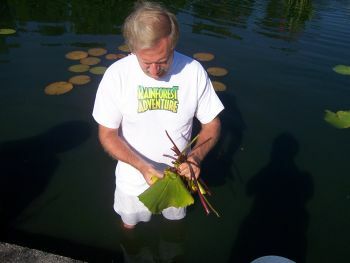 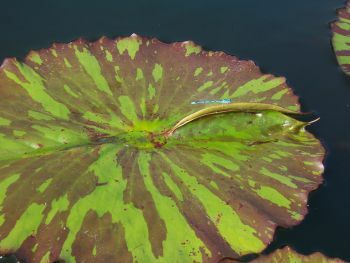 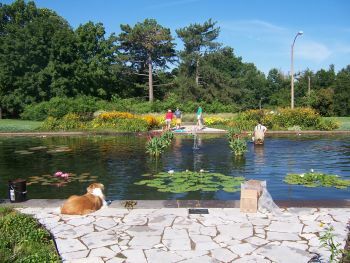 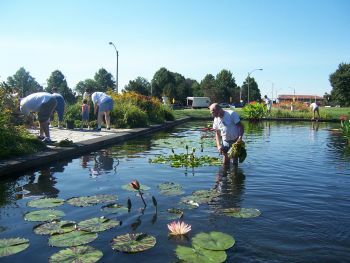 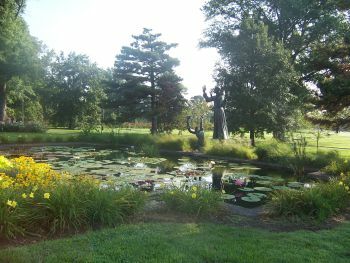 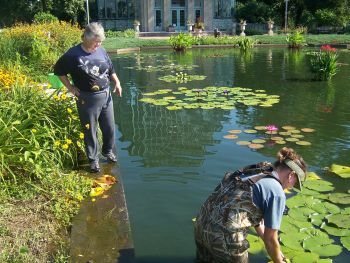 Saturday mornings at 9 a.m., volunteers remove dead flowers and yellowed or torn leaves to keep the lily pools in front of the Jewel Box in Forest Park looking their very best. 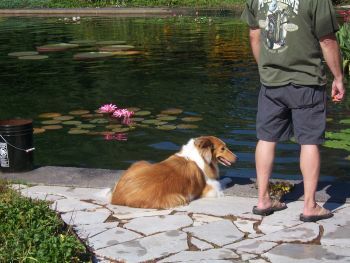 Brides often use them as a lovely backdrop for their photos. 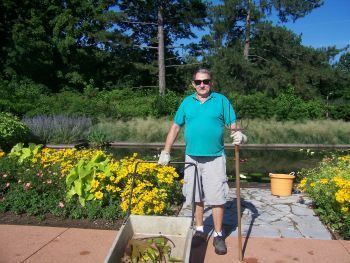 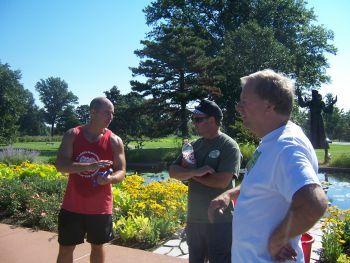 The work provides an opportunity for new members to get hands-on experience and great comraderie for everyone. 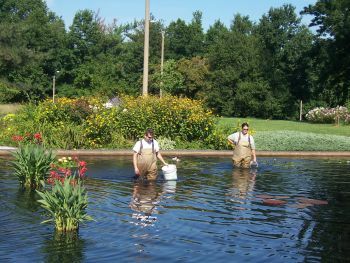 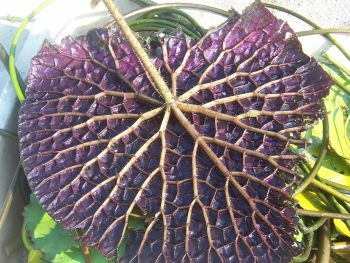 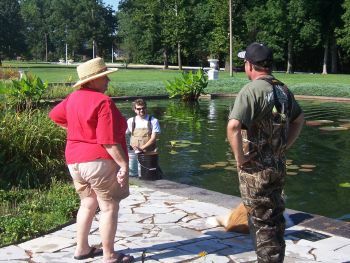 We also fertilize the lilies, dye the water, share the numerous viviparous babies–and see which varieties we’d like in our own ponds!